The only attitude toward life that makes any sense. Here's part one of the transcript for this scene, by request. Written by Joseph Pearce, based on accounts by Lewis & Tolkien. Tolkien: The magic of fairy stories or myths is not an end in itself, it exists to serve virtue. It satisfies certain primordial human desires. Lewis: But myths are lies, and therefore worthless, even though breathed through silver. They are just beautiful lies. You can’t actually believe in fairy stories. Tolkien: Why not? I can. In fact, I do. Lewis: But this is preposterous. How can you seriously believe a lie? Tolkien: Myths are not lies. In fact they are the opposite of a lie. They convey the essential truth, the primal reality, of life itself. Tolkien: We have been duped into using the word “myth” as being synonymous with a “lie” because we have been duped into believing the first real lie of materialism. That first lie, that real lie, is that there is no supernatural order to the universe. The materialists have imprisoned us in a world of mere matter, a world of physical facts divorced from, and devoid of, metaphysical truth. Well I say that they are lying; that their world doesn’t exist; that it is merely a figment of their imagination. The problem is that they have made us believe that it is real. They have made us think that this is all there is. Three dimensions. Five senses. Four walls. But this is not all there is. The four walls of materialism are the four walls of a prison. And the materialists are our jailers. They don’t want us to see what’s beyond the walls. They don’t want us to discover what lies outside their narrow philosophy. They see any attempt to escape as an act of treason. Well how can it be wrong for a prisoner to think of things other than walls and jailers? Doesn’t the fact that he is able to think of things that exist outside the walls suggest that things do exist beyond the walls? If the prison is all there is, how are we able to picture things that exist outside the prison? And this is where myths come in. They exist outside the prison. They allow us to escape from the prison – or, if we cannot escape, they allow us to catch a fleeting but oh so powerful glimpse of the beauty that exists beyond the walls. Lewis: But what is it that we are meant to be glimpsing? Tolkien: The truth, Jack. The truth. Don’t you see? Myths show us a fleeting glimpse of the truth itself. Lewis: Truth? Truth! What on earth is this truth that you are talking about? Tolkien: Ah! Quid est veritas. Pilate’s own words. You seem to be entering into the spirit of the myth, Jack! You have cast yourself in the role of Pilate. Lewis: Pilate! [laughs] Oh, I see! You are able to believe in the lesser myths because you have already swallowed the Big One. Once you believe the Big Lie, the Myth of Christ, it is easier to believe the smaller ones. All right, Tollers; I’ll play the role of Pilate. I’ll wash my hands of the whole nonsense! Tolkien: But Jack, you’re getting things the wrong way round. We make things by the law in which we’re made. We create because we are created. Creativity, the imagination, is the imageness of God in us! We tell stories because God is a story teller. He is the Story Teller. We tell our stories with words, He tells His Story with History. The facts of history are his words, and providence is His storyline. We are all part of His Story. This very conversation is part of His Story. Lewis: But how can you know that your story, the story that you believe, the Christian story, is any more real than the other stories. Tolkien: But it isn’t my story, it’s His Story. Christianity is the True Myth. It’s the myth that really happened. Jesus really existed, so did Pilate. And yet it is this True Story that makes sense of all the other stories. It is the Archetype. The Story in which all the other stories have their source, and the Story to which all the other stories point. It has everything. It has catastrophe and its opposite, what we might call eucatastrophe, the joy of the happy ending, the sudden joyous turn in the story that is essential to all myths. It has to a sublime degree this joy of deliverance, this evangelium, this fleeting glimpse of the real Joy to which all other joys are but a distant echo. It has the catastrophe of the Fall and the eucatastrophe of the Redemption; it has the catastrophe of the Crucifixion and the eucatastrophe of the Resurrection. It has everything that man’s heart desires because it is being told by the One who is the fulfillment of desire itself. It is a story that begins and ends in joy. It has pre-eminently the inner consistency of reality. There is no tale ever told that men would rather find was true, and none which so many skeptical men have accepted as true on its own merits. For the Art of it has the supremely convincing tone of Primary Art, that is, of Creation. To reject it leads either to darkness or to wrath. Lewis: [after a pregnant pause] Astonishing! Tollers, you astonish me. You absolutely astonish me. 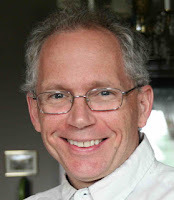 Donate to Theater of the Word Incorporated, a 501(c)-3 corporation that sponsors this website and many of our educational and theatrical activities. 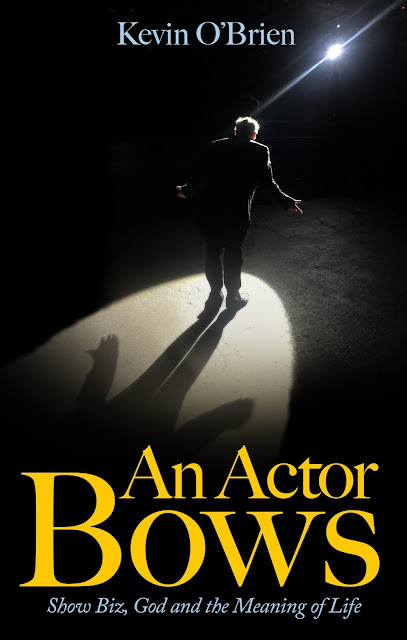 If you donate $20 or more, I'll send you a free copy of my book, "An Actor Bows - Show Biz, God and the Meaning of Life!" Make sure you share your mailing address when donating so we can send you a copy.